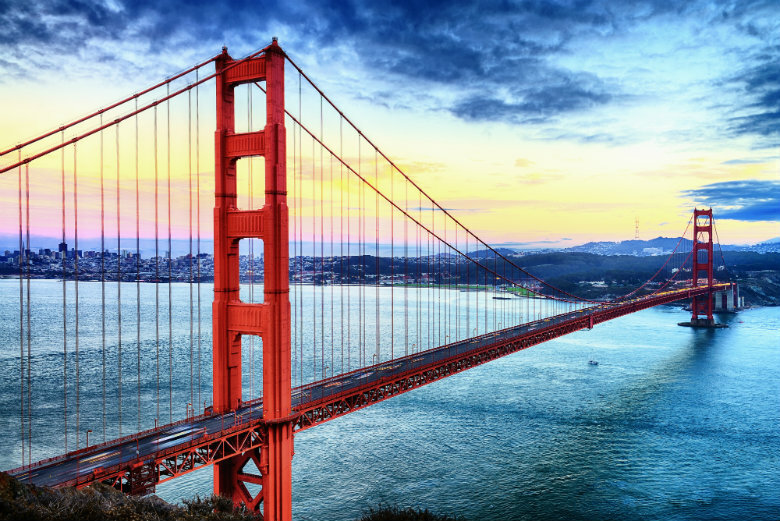 San Francisco, located in Northern California, is one of the state’s most popular cities. It is well-known for its steep hills, cable cars, colorful Victorian architecture, and cool weather. Let’s not forget that San Francisco is also home to the iconic Golden Gate Bridge. All of these features make the city both a popular tourist destination and home to thousands. Seeing that San Francisco is less than 50 square miles, a lot of history, culture, and charm is crammed into this beautiful city. No city is without its faults, and San Francisco does have a few, such as earthquakes and fog. However, many will say that the good outweighs the bad. Thus, this “City by the Bay” is likely on many traveler’s bucket lists. If you are thinking about visiting or making San Francisco your permanent home, National Dispatch can help. Our hassle-free car shipping services will make the move to the city go much easier. You will save both time and energy, allowing you to focus on other more important moving day tasks. Each year, thousands of people use car transport services. There is a list of reasons why. Here are just a few. Relocation: This usually comprises the largest group of people who use auto transport services. These include individuals relocating due to changes in their career, marital status, and more. Using a car shipping company provides you with a stress-free solution. After you take into consideration food, hotel stays, and gas, you could even save a few bucks. Snowbirds: Snowbirds are seasonal travelers, often retirees, who move to their second home in a warmer climate during the winter months. They use car shipping services for its ease and convenience when moving to and from their two residences. Online Purchases: These days, you can buy or sell almost anything online, including your car. After completing your online transaction, have a car shipping company ship the car where it needs to go. This eliminates unnecessary drive time. Military Moves: Military personnel are often moved from place to place. Moves are stressful, as is. Eliminate some of the moving day stress by having a dependable auto transport company move your vehicle. Car Dealerships: Dealerships use car shipping services when transporting cars to another dealership or to a customer. San Francisco is one of the most popular cities in the country because of its cuisine, climate, and economy. After one visit, you may come to realize that this is the place for you. Here are a few things that you should know about San Francisco. As you may already know, San Francisco is often covered by a blanket of fog. You may come to love this about the city, because many other parts of the country have it worse with snowstorms, extreme heat, and more. On the upside, San Francisco typically stays in the 60s most of the year. However, it is not uncommon to see temperature changes throughout the day, so keep a jacket on hand. The lowest the city usually gets is in the high 40s, while the highest is in the 80s. The cost of housing is expensive. San Francisco happens to be one of the most costly cities in the nation. However, San Francisco also has one of the highest household incomes in the country. Therefore, all that there is left to do is find a good paying job in an industry of interest. Many young professionals are attracted to the area for its technology sector. There are many other industries, such as medical, education, law enforcement, and government, that provide thousands of jobs. Some of the major employers include Ernst & Young, Bechtel Corporation, Federal Reserve Bank, and Golden Gate University. If you love the outdoors, then this is the city for you. You might be attracted to San Francisco for its beauty, alone. However, the city has multiple parks with miles of hiking, walking, and biking trails. There are even rooftop parks, where natural elements are incorporated into the building to create a relaxing environment. The list of restaurants to try is endless. The city is a foodie’s paradise with so many tasty treats. From Mexican to Italian to Vietnamese, the city has got it covered with anything your heart desires. Ferry Building Marketplace is also a popular destination for a wide variety of fresh produce. We know that you will likely plan a visit to the Golden Gate Bridge. However, there is much more to do and see in San Francisco. Here is a list of other popular attractions. Pier 39: This is a common attraction for both locals and visitors. Its location by the water provides beautiful scenery and many options for dining, shopping, and entertainment. Golden Gate Park: This is a great place to have a picnic, read a book, jog, go on a walk, or bike ride. It is over 1,000 acres and features lakes throughout. Alcatraz Island: Just offshore of San Francisco, you will find Alcatraz Island. This old prison, now turned museum, is a great place to learn a bit of history. With thousands of auto transport companies to choose from, selecting the right car transporter can be difficult. It is our goal, at National Dispatch, to make your decision easier by providing competitive prices and unmatched customer service. Our first concern is to transport your car in a safe and timely manner, without incident. We can assist you with all your car shipping needs, whether you need to ship statewide or nationwide. Request a free, no obligation car shipping quote using our online quote form. No personal information is required to get a quote in seconds. Our knowledgeable staff would be happy to answer any questions you may have. Call us at 800-321-2051. Hire a company that you can depend on. Hire National Dispatch.